Overview... chief meteorologist at KVWN channel 4 in San Diego. 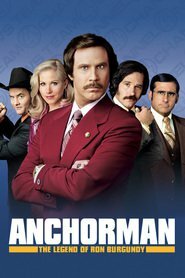 Though he may be mentally challenged, one thing he can do without any challenges is follow the lead of anchorman Ron Burgundy, his best friend and idol. It’s a wonder that he can hold any job, never mind publicly predicting the weather every day on TV. Brick is also surprisingly great at throwing tridents. Personality… simple and heartfelt. Brick doesn’t know any better when he says something that makes everyone burst into laughter or shed tears of joy. He’s the lovable child, in a way, someone who says the right thing (or simply a baffling thing) at the wrong time – even if he doesn’t really know what he’s saying. Brick Tamland's popularity ranking on CharacTour is #1994 out of 5,000+ characters. See our top-ranked characters and read their profiles.